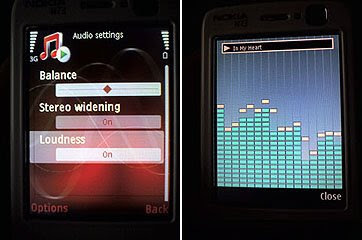 If you already own the Nokia N73, you can update the firmware to the Music Edition by using the Nokia Software Update with a little trick. 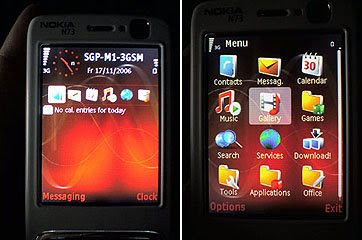 Retailers are just receiving the Nokia N73 Music Edition as this how-to is published, but you do not have to buy the new Nokia N73 Music Edition to take advantage of the new features. Read on to find out how to update the firmware. 1. Idle Screen with new clock. 2. New Main Menu Music Icon. 4. New Music Player with Album Art. Download and install: Nemesis Service Suite and the latest Nokia Software Update. Connect your phone and wait for Windows to install the drivers. Change the product code to 0539343 and mark the case “Enable”. Press “Write”, and your phone’s product code will be changed (you might think that nothing happened, because the phone is still in normal mode, and the changing of the product code only takes a couple of seconds, but don’t worry, the product code changed !). Close Nemesis Service Suite and run the Nokia Software Update. Make sure not to touch the cable or the phone while your phone is updating or else you will break it! That’s it! When you restart your phone, it should now be the Nokia N73 Music Edition. Say that you choose to change the product code to something else and then Nokia later decide to take the current product code away from NSU since they notice many people are changing this code….what will you do then if your phone goes dead? You can no longer update the phone via NSU and if you turn to a Nokia servicepoint they will notice that your product code in the phone is different compare to the one on the label on the backside of the phone…this means that they most probably will deny to give you service since you have done something with the phone that isn´t allowed. Next step, by a new phone ! I would say, very risky. I found this list to update to what u want U cant go back to the earlier version without Flushing. 5) Do the backup on either on Saturday or Sunday night . This is because in case it becomes a brick u can go down to Mobile repair shop and get it reflashed :). 6) In case the update failed.. KEEP RETRYING..
7) If something is not working properly after the update do an update again.